Everybody loves chocolate gateau, it’s a simple fact of life. Often it’s made with black cherries or fruits of the forest making it quite a wintery dessert. The use of fresh strawberries in my version gives it a bit of a lift and transforms it for summer time. 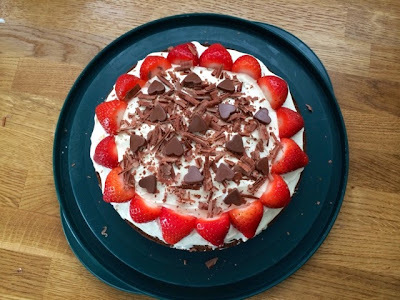 Chocolate gateau is a great crowd pleaser, the strawberries and a pile of chocolate shavings on top are also such an easy way to decorate it and turn it from a simple chocolate cake into a show stopper. Now, I do have a confession to make, this is one of those bakes that didn’t turn out 100% perfect for me. I thought my mixture was too lumpy and really over beat it, and it turns out that over beating results in the mixture not rising enough in the oven and the cake being very dense, but lesson learnt and these mistakes mean that I can pass on my new found wisdom to you! 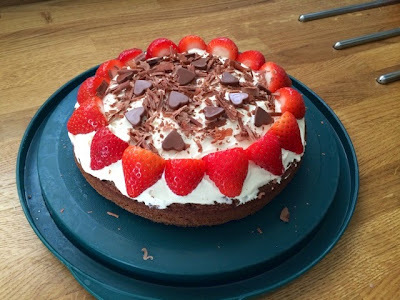 As my cake didn’t rise too well, I just put cream on top and decorated with the strawberries, however if your cake rises as it should and you are able to slice it in half then whip up enough cream to spread through the middle as a filling and mix in some chopped up strawberries. 1. 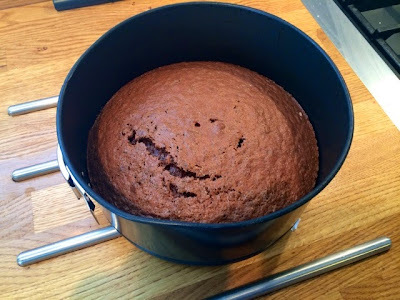 Grease and line your cake tin and preheat the oven to 180°C. 2. 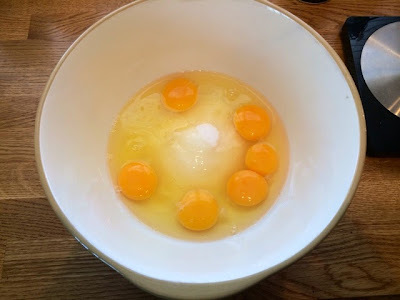 Whisk together the eggs and sugar until the mixture is pale and thick. 3. 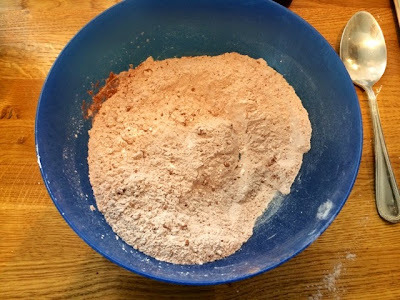 Combine the flour, cocoa powder and cornflour. Sift into to the egg mixture. Halfway through pour in the melted butter. Fold everything together gently. 4. 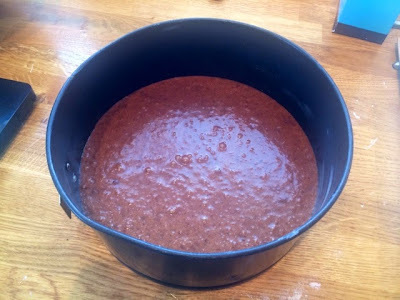 Pour cake mixture into your prepared cake tin. Bake for 35-40 minutes. 5. Check the cake mixture is cooked by piercing the centre with a skewer. If the skewer comes out clean the cake is cooked. If there is cake mixture coating the skewer return to the oven for a further 5 minutes. 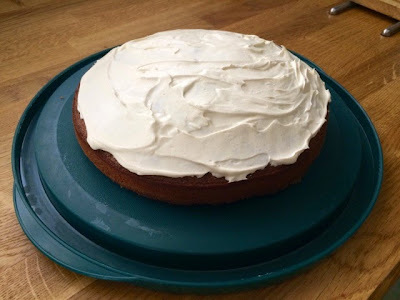 Allow the cake to completely cool before decorating. 6. 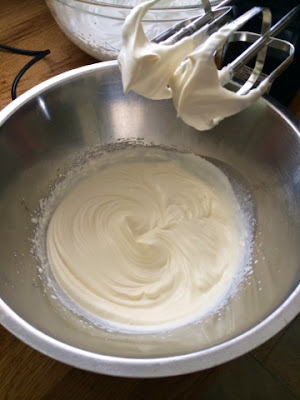 Using an electric whisk, whip up the double cream until thick enough to spread. 7. 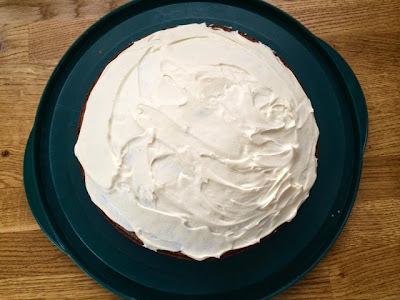 Cover the top of your cake in cream (and the middle if you’re cutting it in half). 8. Cut your strawberries in half and use to decorate along with your chocolate shavings and decorations however you wish.